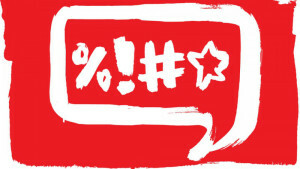 home Features All Speech or Which Speech – Where do we draw the line on freedom of expression? All Speech or Which Speech – Where do we draw the line on freedom of expression? The opinions expressed in this article are those of the author, and do not necessarily represent the views of the University Express. Should you be able to say whatever you want? Today, this is a controversial topic – with “hate speech” being a term tossed around the place like a ping-pong ball at a house party. Freedom of speech is a right which is under threat at the moment, as its cost-to-benefit ratio is currently being challenged by certain groups. This debate all boils down to either imposing laws on peoples’ freedom to express themselves non-violently in any form, or maintaining freedom of expression as a basic human right. Freedom of speech ends at a direct call to illegal action and protects all else. However, if we want to take it a step further and make it illegal to express hateful and offensive ideas, then where do we draw the line? And more importantly: who gets this ultimate power to draw the line on whether certain speech is legal or illegal? Don’t people have the right to not feel discriminated and hated upon by others? People do not have the right to be in public and not hear ideas they don’t like; but they do, however, have the right to reply to those ideas with any and every word in the dictionary (and any not in it, for that matter). This might sound disagreeable, and I do agree that hateful speech is a terrible thing – most of us do. I don’t agree with anyone who participates in hateful speech; in fact, I would condemn them to the social backfire they bring upon themselves. However, I don’t believe that anyone should have the power to impose legal action on someone because what that person said offended them. I hold this opinion primarily because what’s offensive is subjective and different for everyone. As a people, we have a moral duty to create the least hateful society we can by being good to one another (expecting reasonable reciprocation that is). However, creating this harmonious society cannot and should not be the duty of the legal system; for the simple reason that we have no consensus on what speech should or should not be said. The line is different for everyone, so how can we create concrete laws around completely subjective and extremely varying opinions? We cannot; unless we want to start legislating laws for minorities or, even worse, give that power to the government; which we should all agree would create an imbalance of power between the people and its state. For example: if I could control what you could and couldn’t say, would I have the right amount of power in that relationship, or would I have too much? It can and does; and these actions are illegal. Does suppressing a group’s or individual’s ability to express hateful ideas cause these ideas to go away? I don’t think it would be a far cry to say that it doesn’t. In fact, I would say that it adds fuel to the fire; because now the individual or group can feel victimised and discriminated against, only giving them more reason to hold on to that bad idea. On top of that, disallowing someone to express their bad idea closes the possibility of open discourse in which someone else may persuade them with a better idea, and to let go of their bad idea. As a species, we evolve our intellect by replacing bad ideas with better ones. The open marketplace of ideas, where every idea can be expressed and criticized provides us all with a means to discount as many bad ideas as possible. If we start outlawing bad ideas from this marketplace, then how will we ever get rid of them and replace them with better ones? I would also like to propose the idea that the same statement can vary in offensiveness depending on the context. Comedy is a perfect example of this. When we watch a comedy show, we are willing to suspend offense for humour (we’ve all laughed at jokes we don’t think we should have – I won’t give examples, for the purpose of you being able to read this piece). If some of the jokes our favourite comedians made were taken out of context and repeated in a serious way, it would cause outrage to say the least. This proves that what we can and can’t say stretches and contracts depending on the setting. What’s okay between you and your friends at 2am, scuttered with curry stains on your shirt, might not fly on the breakfast show. So, if offense is contextual, how could we implement that into speech laws? The answer is: with great difficulty, and perhaps much error. This is precisely why we shouldn’t try to outlaw even the most hurtful words, hurtful as they are. It is a part of society and we shouldn’t try to hide it, lest we forget what it looks like. Not to sound too pretentious, but I myself would prefer to keep my eye on the ugliness and combat it from there, rather than having it outcast to the shadows where it can sneak up on us all. If our goal is an accepting society, then we should start by accepting everyone’s ideas and then work from there to create a society with the best ideas we can conjure. For if they truly are the best ideas, they should have no problem stomping out the feeble ideas of “hate speech”.